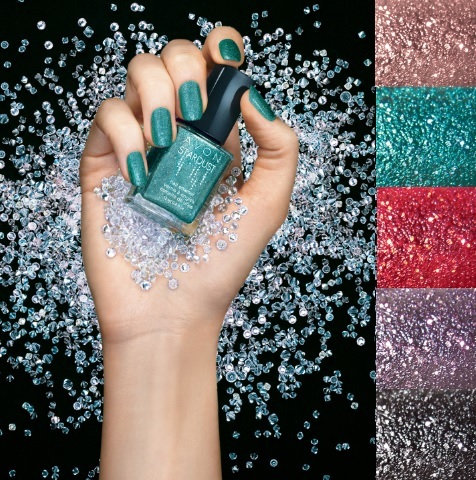 Avon Stardust Nail Enamel - $6.99 - in 5 glittering shades: Cherry Dazzler, Crystallized Pink, Jewel Blue, Silver Crystals and Black Sequins - that contain various sizes of glitter for a unique D effect ad sparkling textured finish. The pictures you see are with a topcoat, I thought it would bring out the shine and help smooth out the rough surface texture. 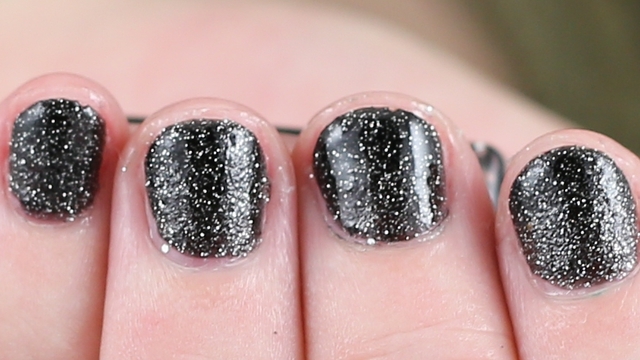 Strangely it only works temporarily, the polish seems to drink up the topcoat and it disappears leaving a finish that is sparkly but matte and textured. I applied 2 more coats topcoat with the same magically disappearing results so let's just say that this polish neither requires nor desires a topcoat.